The benefits of HPC, where computing power and speed are increased dramatically by combining multiple compute nodes into tightly coordinated clusters, is obvious. These benefits are especially obvious in applications like biochemistry, physics and geology--wherever research requires efficient and fast manipulation of massive amounts of data in highly complex algorithms. So too, the benefits of HPC in business applications--where predictive customer analysis, assessing financial risk and product research are key enablers of success--are equally obvious. Enterprises that want to leverage HPC to its fullest have a massive amount of data available but often lack the ability to manipulate that data effectively to competitive advantage. Until recently, HPC was either too expensive or too complex for most enterprises to use effectively. 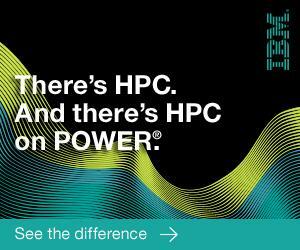 But, with the right cost model, any enterprise can harness the power of HPC to make better business decisions and add real business value to create a competitive advantage. Although significant advances in technology have reduced the cost of implementing HPC solutions in-house and have made a variety of hosted and cloud solutions available for businesses of all sizes, making sure the solution is cost-effective still remains a challenge for many organizations. In the end, every enterprise needs to make sure that whatever HPC infrastructure option is chosen will result in the best ROI possible. Before deciding which HPC path to pursue, it is important to understand all of the factors that contribute to the total and real cost, including those costs that are easy to overlook or assume will remain neutral. Factors to consider in addition to equipment costs in your calculation include power usage, percent utilization, labor costs and facilities costs. If you already have a data center, your facilities costs may be sunk for a while; everyone has a unique situation. Just keep them in mind when making your decision. Equipment usually runs about $0.04 per hour. Add in the cost of powering that equipment (and any support equipment, like AC), which increases as utilization goes down. Utilization likely will never be a perfect 100%, so account for any fluctuations and establish a reasonable average to use in your calculations. Your experience will be unique, but chances are you will never go over 80% utilization. More likely, depending on the seasonality of your business, your usage will be much lower. Since most HPCs run on some form of UNIX, make sure you account for the fact (according to payscale.com) that, in the United States, UNIX administrator salaries typically run about 15% higher than Windows administrator salaries. If you are a small company, where perhaps a higher-paid employee performs system administrator duties, keep that in mind as well. Once you have a calculated in-house cost, be careful not to compare it to an on-demand service cost, as they tend to run higher. This is like comparing the cost of your mortgage to a weekly vacation rental at the beach during peak season. The same way a fully loaded weekly vacation rental can cost more than your monthly mortgage, on-demand services tend to run high. A better approach is to look at a multi-year rate plan and compare that to your fully loaded in-house costs. The moral of the story is to not over-simplify the cost comparison between in-house and hosted or cloud HPC solutions. Although the benefits of HPC are obvious; the way to go about reaping those benefits are a bit less obvious and require some due diligence on your part.